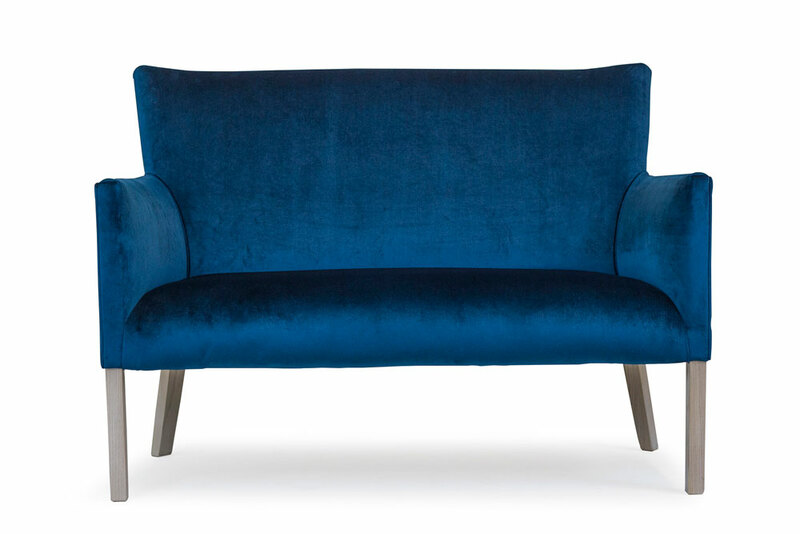 The Arabella Lowback Two Seater, popular in bedrooms, foyers and small lounge spaces, is uniquely made from solid Ash timber that is steamed and bent into shape. This offers strength and durability and ensures that no short cuts are taken in the construction of the frame that lies beneath the upholstery. We encourage you the client to make the Arabella Lowback Two Seater your own through your selection of timber finish and fabric. 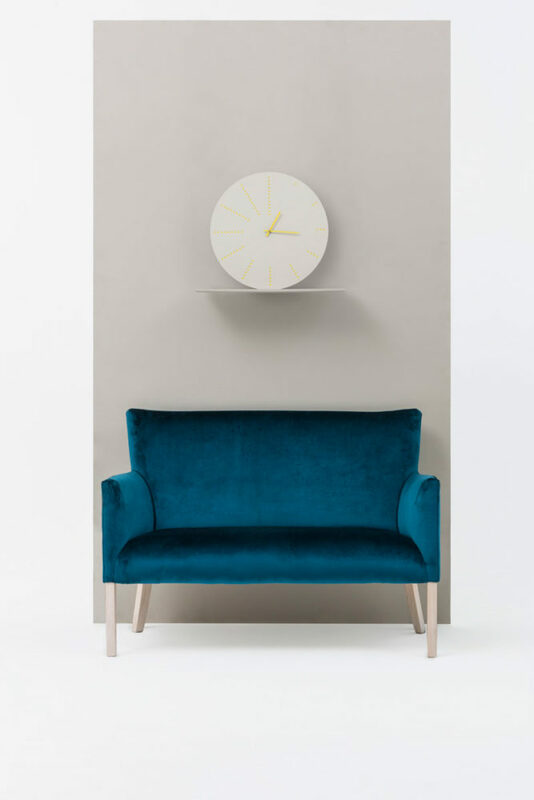 In keeping with the hot trends of creating statement pieces in a room we boldly chose a teal velvet with limewash finish to create a truly one of a kind piece.